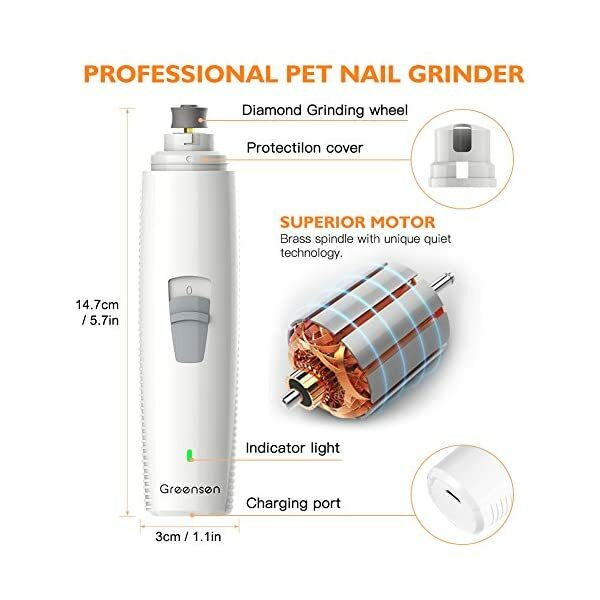 【POWERFUL & LOW NOISE】: This powerful nail grinder is manufactured with upgraded 3.5V motor, which is more effective and safer than nail clippers to trim pet nails, reducing the risk of hurt your pet. 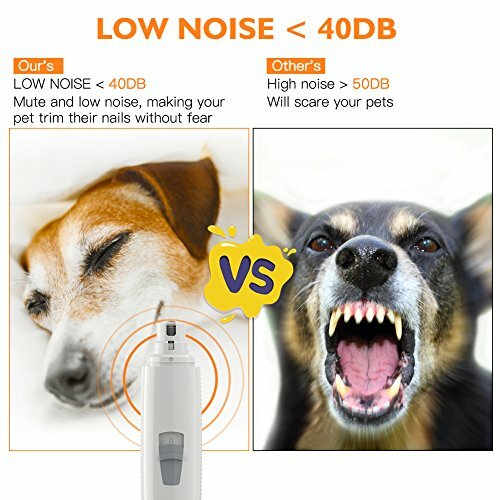 Mute and low noise, making your pet trim their nails without fear. 【Safe & Silent】: No need to worry about hurting your pets! 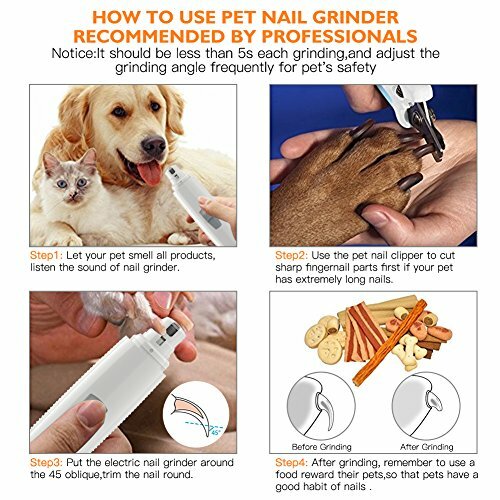 Equipped with super mute motor, gently trim your pets’ nail with less than 40 decibels noise and low vibration, makes the trimming process less stressful and much more enjoyable. 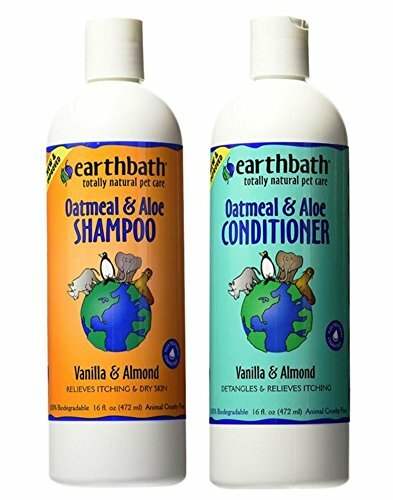 Ideal for dogs, cats, hamsters, guinea pigs, rabbits, and birds, etc. 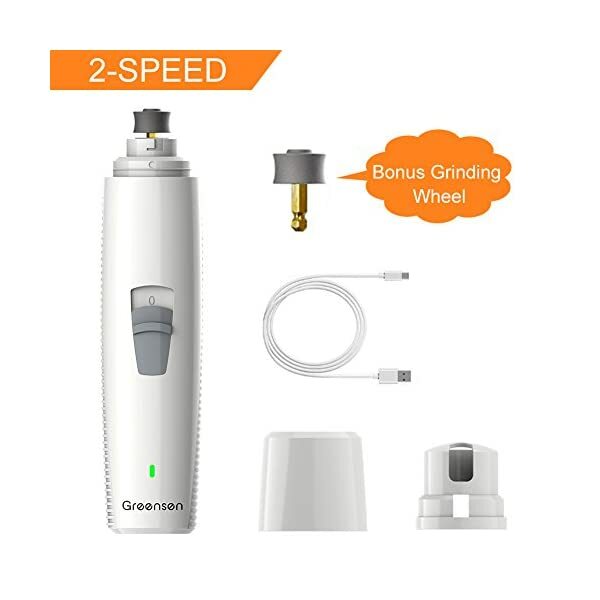 【Humanized Multifunctional Design】: The pet nail trimmer has 3 ports and 2 speed switch, you can choose an appropriate port and speed depending on your pet’s size and nail hardness for nails grinding. The maximum speed of 6500 rpm is great for extra thick nails. 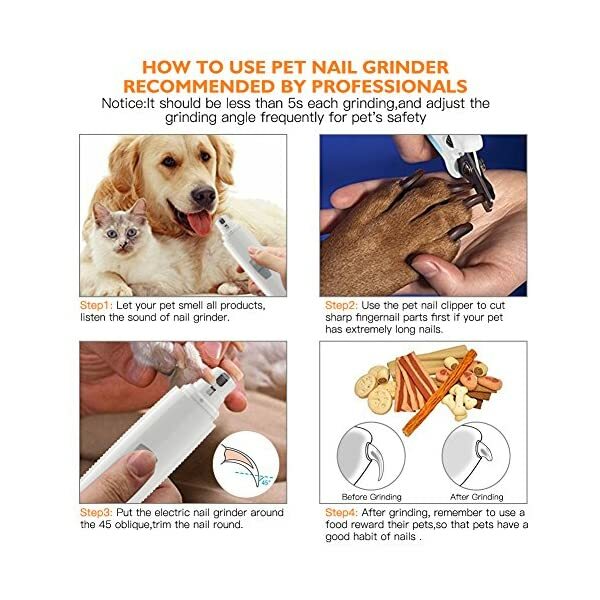 since it will not hurt the sensitive part of fingers and pets’ toenail as usual nail clippers. 1. 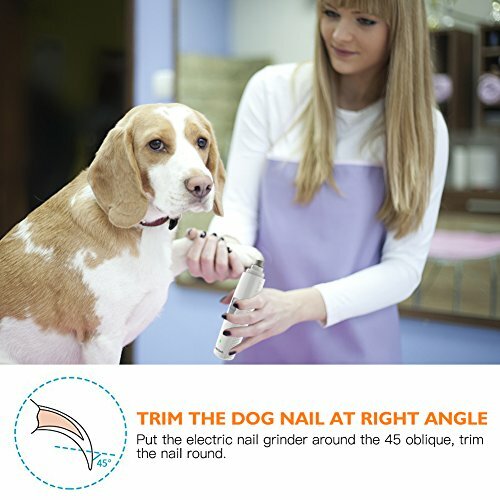 Mute and low noise, making your pet trim their nails without fear. 2. Can reduces the chance of breakages, cracks and pressure on the nails. 3. Upgrade 3.7V motor and diamond Bit Grinder provide 100% quality guarantee. 4. 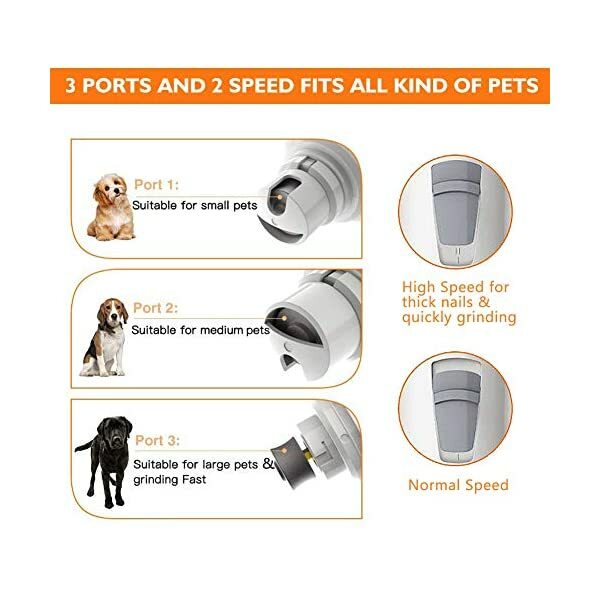 Three different size,2 adjustable speed and nail guard can meet all pets of different size. 5.With it, you don’t need to worry about damage to floors, carpets, ,furniture and your family’s skin caused by your pet’s sharp nails. 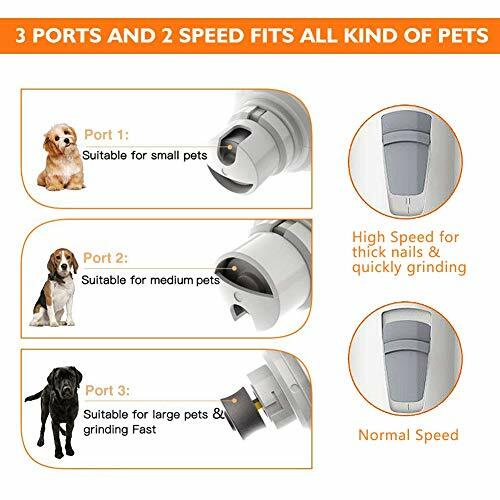 ★3 ports & 2 speeds:The small diamond wheel port is for small pet, big port is for medium and large pet.For fast grinding,the entire protective cover should be removed. 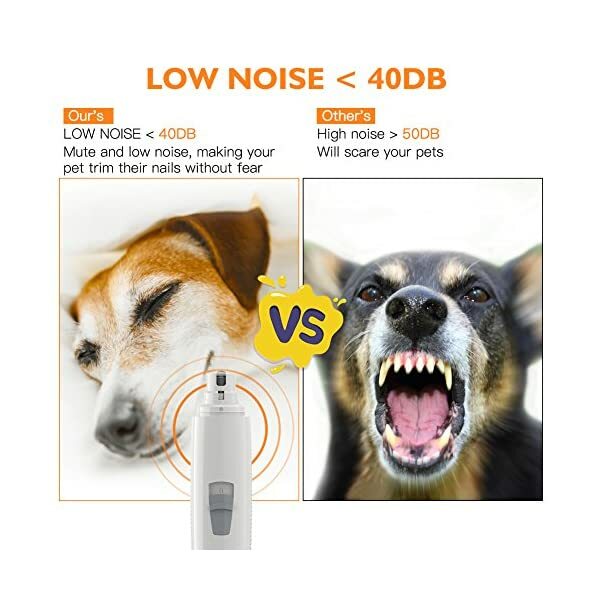 ★40 DB low noise, silent vibration avoids scaring your pets. ★Non-slip machine design, comfortable to grip and not easy to slide down. 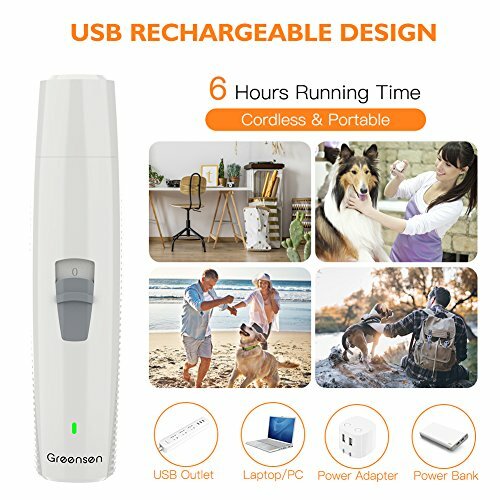 ★USB Rechargeable is great for on-the-go use thanks to its cordless design and longer working time. 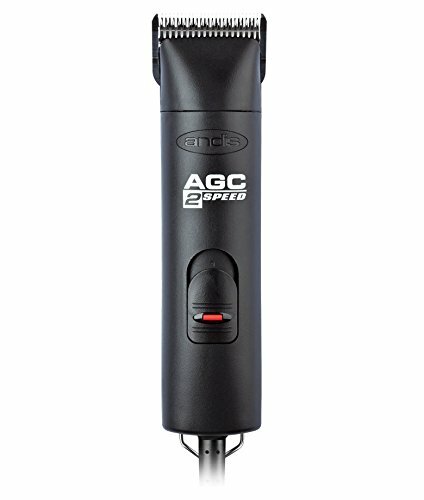 ★cordless design grinder can let you use it anywhere without worrying about a power source. ★The red indicator light is in the charging status. When it turns green, it means that it is full of electricity. When it is working, it is displayed in green. 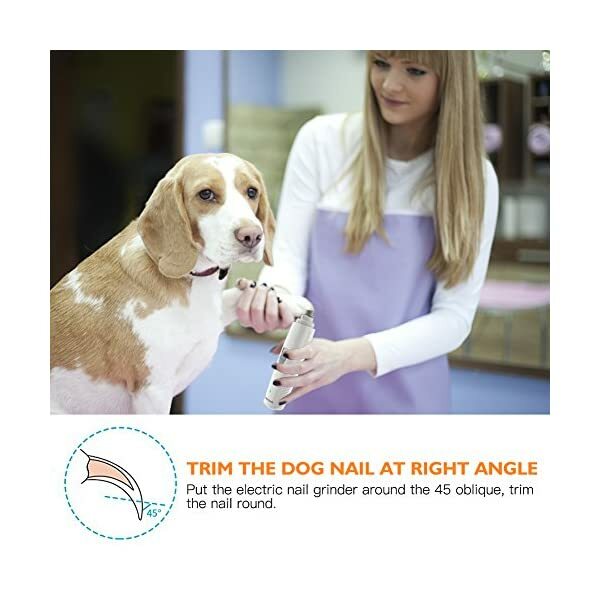 ★We kindly suggest you clip them first if your pet has long nails. Then use the nail grinder to grind, it would work better. 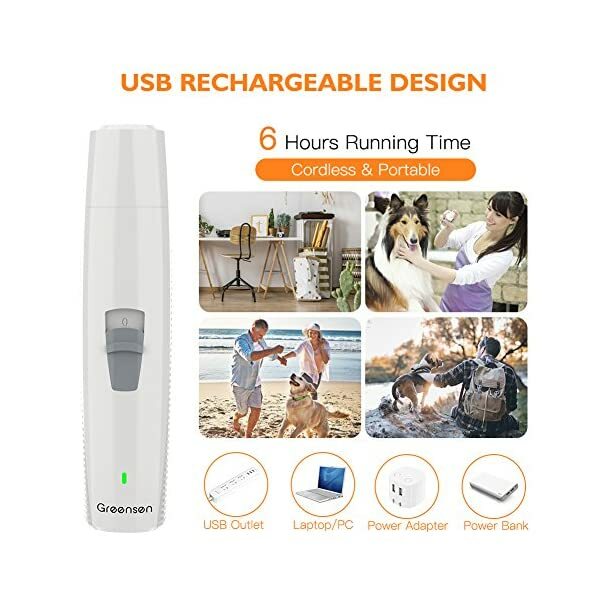 【USB CHARGING】: The dog nail grinder is rechargeable by USB. 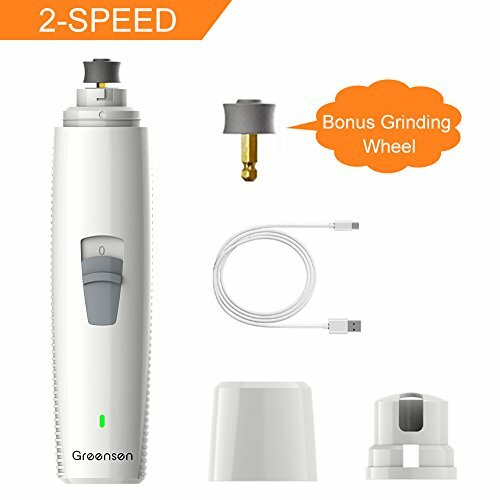 Each toenail grinder has a Built-in battery, which can work for 6 hours after 5 hours full charged. 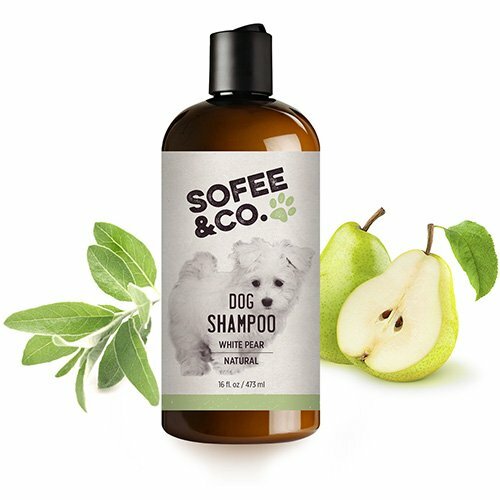 Perfect for pet grooming store or home using. 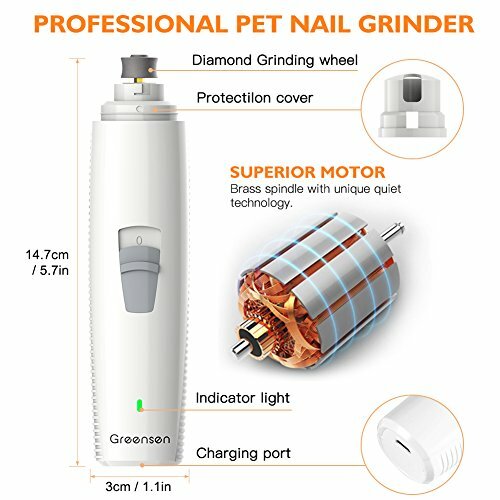 【100% SATISFACTION GUARANTEE】:Diamond grinding stone wheel, ABS case and premium 3.5V motor can ensure our pet nail grinder more durable. Any problem, please contact us at the first time. We promise to give the customer 100% SATISFACTION GUARANTEE and two years warranty.